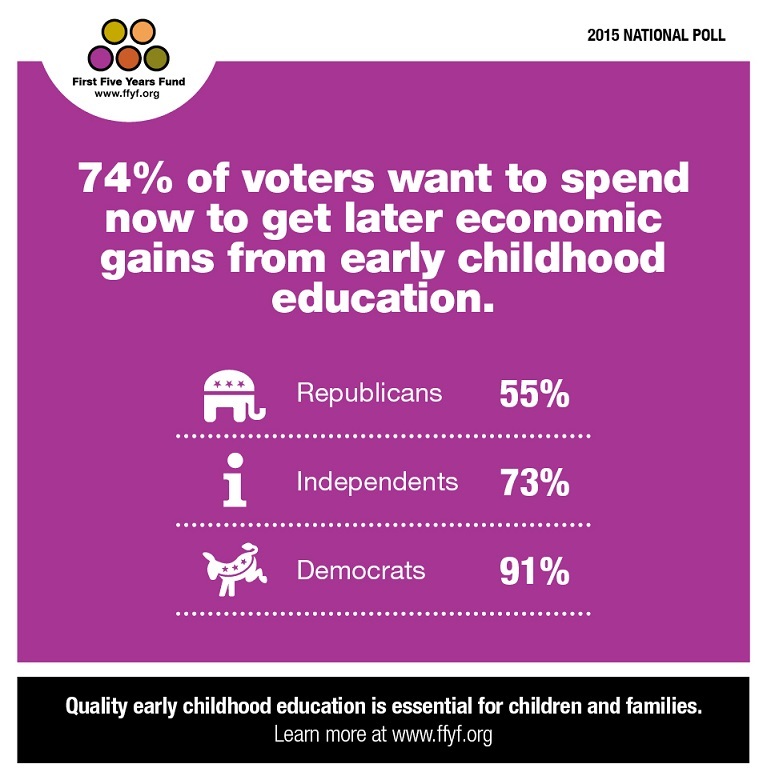 For three years running, the First Five Years Fund’s annual bipartisan poll shows that early childhood education is a national priority for Americans, regardless of party. 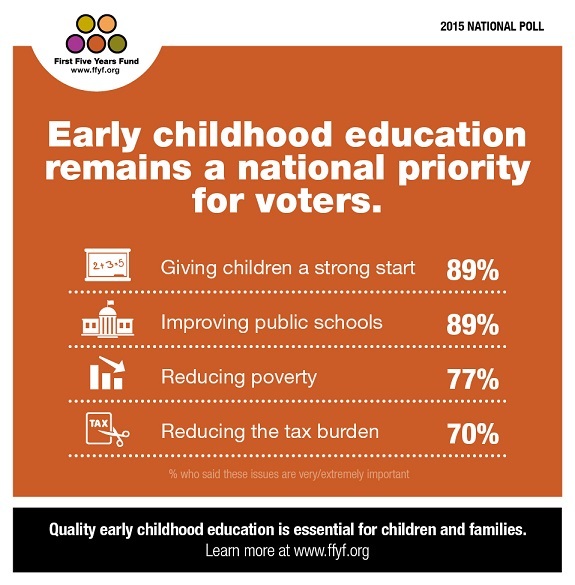 ““For the first time in our three years of polling, American voters’ top priority is making sure children get a strong start in life, a concern equal to improving the overall quality of public education,” says Kris Perry, Executive Director of the First Five Years Fund. In the poll, 89% of voters agree that we need to ensure more children don’t miss out on early learning and socialization experiences during the first five years of life when the brain develops more dramatically. 63% strongly agree on this point. For WECA – a statewide organization focused on the child care workforce and programs that raise childcare quality – the findings inspire us to keep moving forward. In myriad ways WECA calls for greater investment in quality early care. Our outreach, education and advocacy on this issue is multi-faceted. In 2015 WECA published Starting Early, Starting Now, a research report that outlines potential ways forward in funding a child care delivery system in Wisconsin that is accessible and affordable to all families. Our interactive “Jack’s story” shows the return on investment Wisconsin taxpayers will see when young children get quality early care right from the start. And as the source detail notes – the financial projections are conservative. Throughout the year WECA staff meet with Wisconsin legislators and serve as policy advisors on key state and national committees focused on young children and the early childhood workforce that is so central to the outcomes we seek. WECA works with community partners and recently, sponsored a viewing and discussion of the Raising of America documentary that is traveling throughout the U.S.
As we move closer to the general election cycle we’ll be increasing our outreach and education on behalf of early childhood education investments in Wisconsin. Your support is needed – as an advocate in our Forward for Kids initiative – and as a donor. Contributions enable WECA to strengthen its statewide advocacy work that unites families, policymakers, child care providers and others in building a high quality and affordable system of early care and education for all children. This entry was posted in Uncategorized and tagged bipartisan polling, early childhood investments, Forward for Kids, national polling, return on investment for ECE, The Raising of America, voters and early childhood education, Wisconsin Early Childhood Association. Bookmark the permalink.